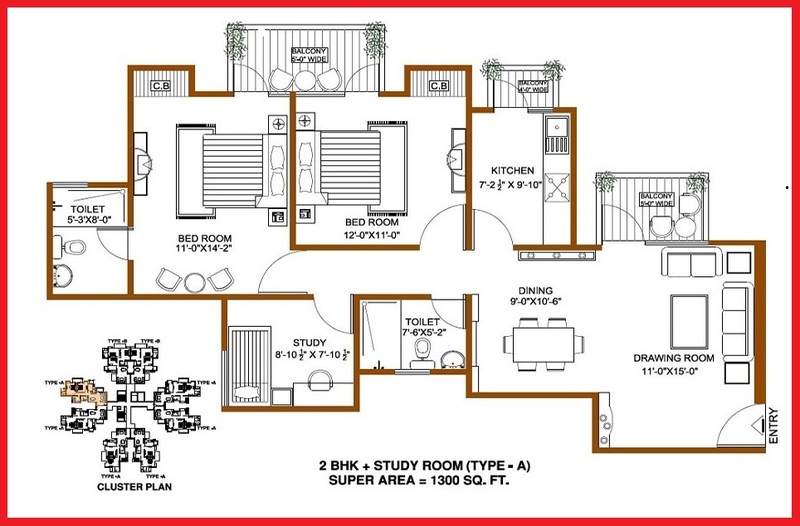 Shree Vardhman Flora Sector 90 Gurgaon is undoubtedly one of the finest projects in Gurgaon besides IMT road very close to Industrial Model Township (IMT), NH8 and Dwarka Expressway assuring the best property investment in Gurgaon providing 2,3,4 bedroom flats with all the modern day facilities inside. Shree Vardhman Flora Gurgaon gives you ultimate pleasantries like kids playing area, swimming pool, gymnasium, security unit with intercom system, well-furnished lobbies, common hall, 24 hours power backup and many other facilities. 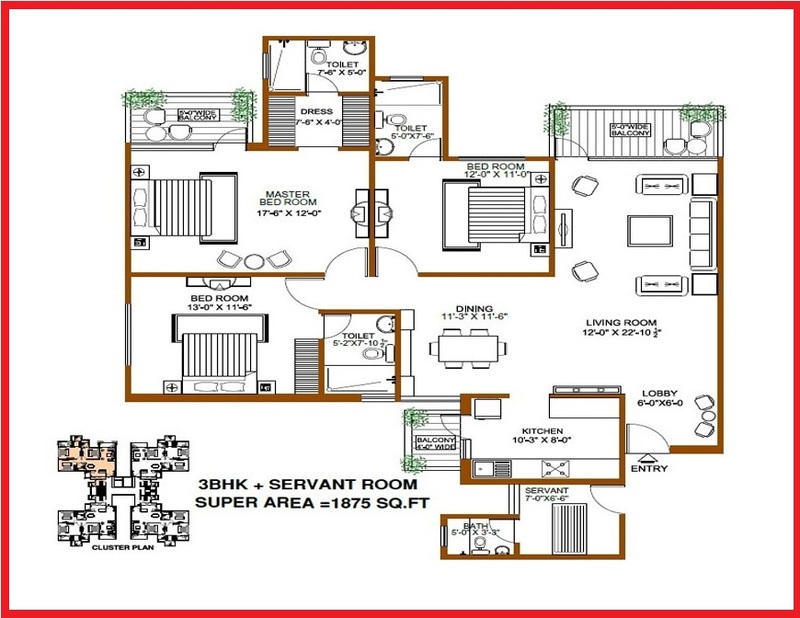 Shree Vardhman Flora consists 8 towers with 250-floor units ranging from 1300 sqft to 2475 sqft near Pataudi Road which also directly links it to the old Gurgaon giving it another location benefit over other residential projects in Gurgaon. 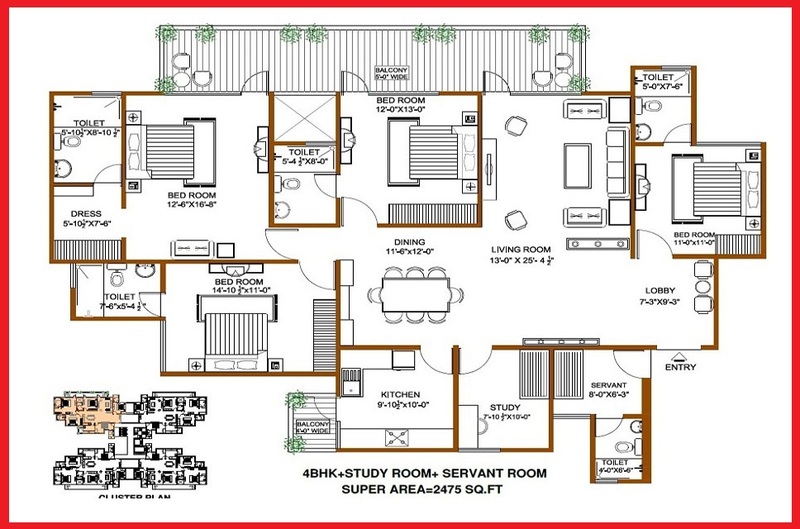 Shree Vardhman Flora Sector 90 is an ultimate opportunity for Gurgaon project seekers with outstanding amenities like grand entrance with landscaped gardens and decorates, clubhouse with swimming pool, common hall, billiards room, meditation and yoga club, spa and sauna, bistros etc. 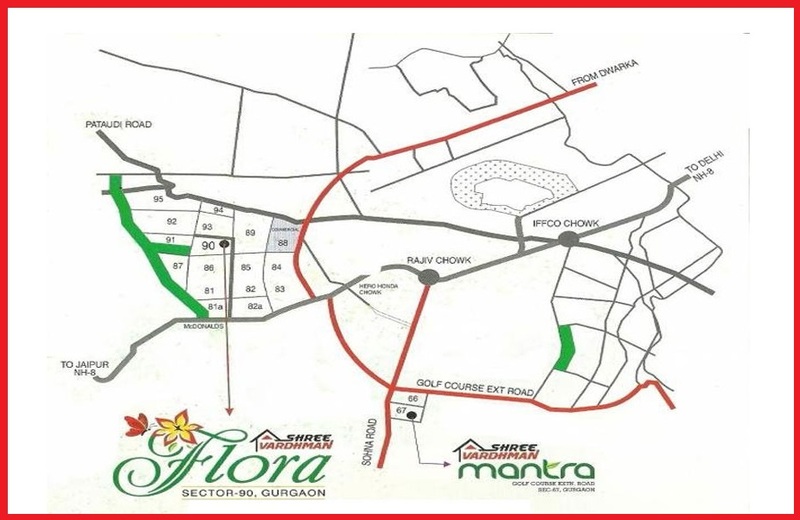 Shree Flora Sector 90 Gurgaon has reputed hospitals like Sanjeevani Hospital, Chawan Hospital, Jyoti Nursing Home and educational institutes like Sharda International, Laxmi international, Matrikiran etc. 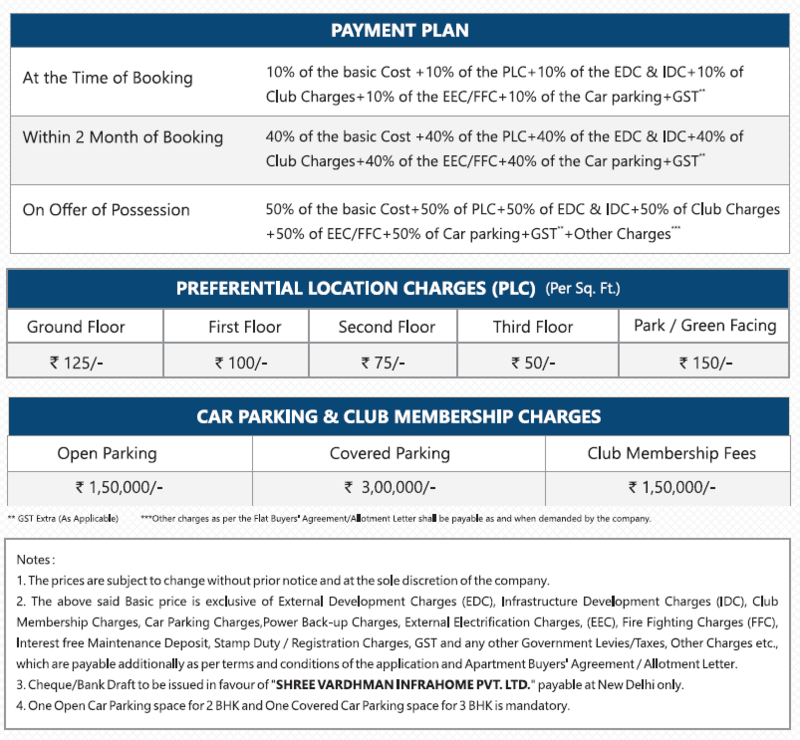 are close giving it additional benefits among other residential flats in Gurgaon. 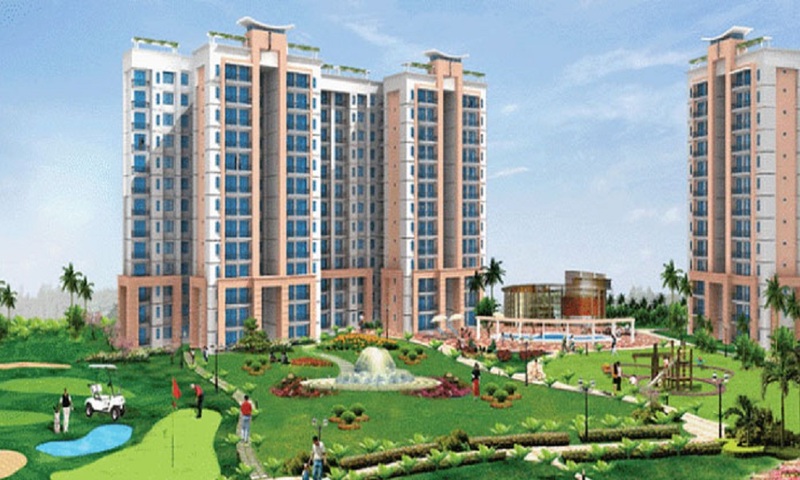 Shree Vardhman Flora Gurgaon provides you dream home that reflects your class which is accomplished by high quality interiors, extensive balconies with cityscape views, modular kitchen design with high-end fittings and advanced cupboards, laminated wooden flooring in all the bedrooms and living room. 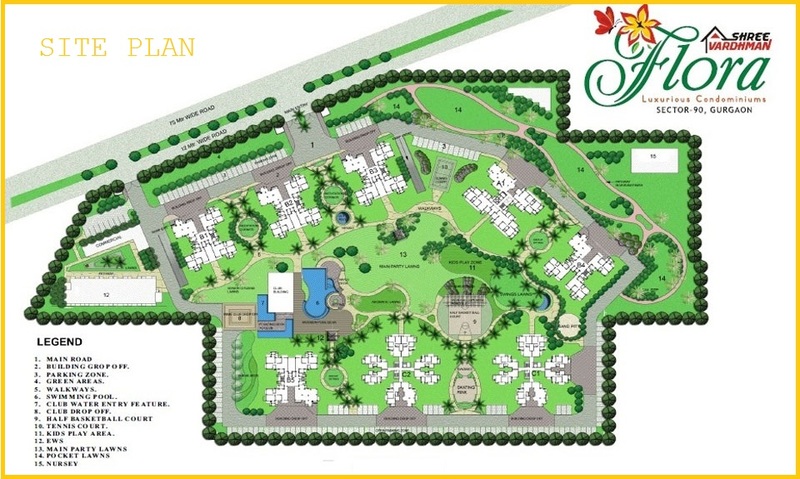 Shree Vardhman Flora Sector 90 has Lush Green surroundings and open area that will make you days joyful as the environmentally friendly design and waste disposal system of the project will ensure the cleanliness and tranquility within the comfort of the home. All the parking, fire safety, security and maintenance facilities are also available for the better and safe living experience away from the crime and chaos of the city. 24 hours CCTV observation and Night Patrolling by night guards makes Shree Vardhman Flora a better option among other flats in Gurgaon and a great opportunity to buy home in Gurgaon at an astonishing price range.